In December 2013, Houston Television (HTV) moved from its previous accomodations at 3100 Main, where it shared space with Houston Community College Television (HCCTV), into a multi-faceted production facility on the first floor of City Hall at 901 Bagby. 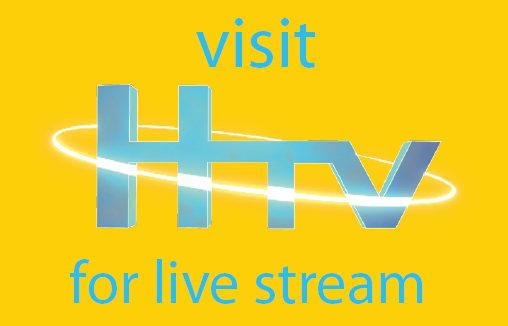 HTV cablecasts 24/7 and runs live programs in the form of City Council plus committee and commissions involving Budget and Fiscal Affairs, and the Planning Department. You can watch us on the following cable systems: Comcast (Ch. 16); Phonoscope (Ch. 2) TVMax (Ch. 98); Suddenlink (Ch. 14); and AT&T U-verse (Ch. 99). Dwight has more than 20 years of experience in the broadcast industry, including over 7 years as engineer at HTV. He comes to us from KTMD-TV Channel 47. With over 20 years experience in broadcasting, Mariana is a perfect fit as our Program Supervisor for HTV. Elle graduated from Bellevue University with a B.A. in Business/Marketing and has over six years experience in media sales. Tired, old, unloved and unappreciated since 1969. And isn't fully operational until he has his morning coffee. Cheri is a photographer/producer at HTV. She has a background in ENG and worked for KPRC Channel 2 for a number of years. She credits her success to always having chocolate on her desk! After working in front of the camera for eight years, Jana moved behind the camera as a award-winning producer over seven years ago. Carlos is a seasoned veteran of the television & film industry. He has won many awards and accolades for his work and artistic creativity. Carlos’ skill as a cameraman and editor make him a wonderful asset to our team. Daryl graduated from Southern University in Baton Rouge with a B.A. in Broadcast Journalism, and has been with HTV for over eight years. He moved into the production department after serving several years in our operations area. Rich is a transplant from California where he was an award winning freelance video producer for 15 years and Television news Photographer/Editor for four years. Travis is a "utility player" for HTV, doing everything from programming the shows that go over the air to running studio camera. He is also a member of the Houston Film Critics Society with more than 300 film reviews to his credit. Bryan is our afternoon master control operator and has worked with HTV for over two years.